What an opening. While not actually true (obviously! ), it emphasizes the significant importance of SEO. Whether you’re a business, a marketer, or just you, you’ve probably seen these intimidating words … SEO. How daunting. What do these letters even mean? If you’re not familiar with SEO, it probably sounds like a foreign language (and probably is to most of you!) But don’t worry, that’s why we’re here. We want to help you understand SEO and its BIG picture. Let’s start with the basics: SEO stands for Search Engine Optimization and according to Google, refers to the “process of maximizing the number of visitors to a particular website by ensuring that the site appears high on the list of results returned by a search engine.” WHOA. What?? What does that even mean? That’s definitely not the basics. No stress. Let’s break it down further. Simply, SEO helps your website (or content) appear as a top result for searches of a certain keyword. For example, if you’re a shoe retailer and your potential customer types in “comfortable everyday walking shoes” on Google, you want your business (or at least your comfortable walking shoes!) to appear at the top of the list results – which is exactly what SEO helps you do. Instead of you reaching out to your audience like many marketing strategies would do, SEO allows your potential audience to reach you when they are actively searching for information related to your products and/or services. 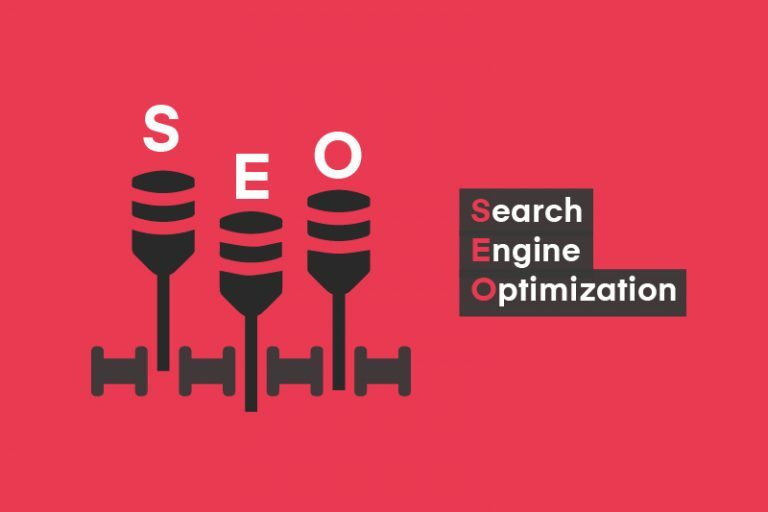 Because of SEO’s unique outreach strategy, leads from SEO have a 14.6% close rate, whereas other marketing channels only have a 1.7% close rate. Why Are 3 Letters So Important? 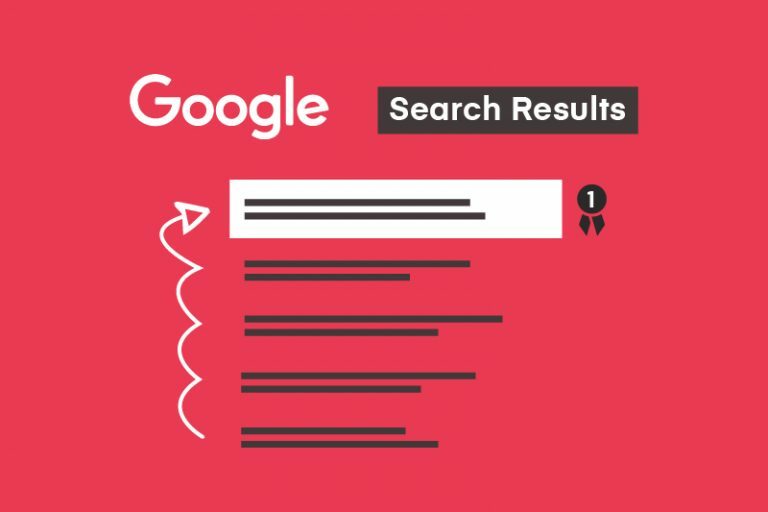 With thousands, if not millions, of websites on Google’s search results, how can you make sure that your website is the one that appears at the top of the list? The answer to this question rests on 3 letters (hint that’s not really a hint: SEO) because it’s your new best friend that’s going to help your business grow and reach your corporate objectives. It’s a fact: the majority of search engine users are more likely to click on one of the top 5 suggestions on any results page. If your page isn’t even on the first page, then you’ve already probably lost your target audience’s attention. So, it’s really important that you optimize your page to appear as close to the top as possible. The end goal is to have your page appear as the first result on the first page. As a marketer or business owner, you probably don’t need to be told that the credibility of your business is important. Because your credibility is important, put yourself in the shoes of your audience for a moment and think about this question: If one business appears on page 1 and another appears on page 6, which one do you think will seem more reliable and credible? Understandably, your bet is probably on the first page and you’re right because your customers think the same way. Your audience makes a mental note of the rankings for the terms they enter into search engines – for them, these rankings serve as a vote of confidence. With a higher search ranking, you will appear more credible in their eyes. Maybe you’re still hesitant about SEO and need a little more convincing? That’s understandable but you’d be missing out and we don’t want you to miss out, which is why we’re here to let you know about the benefits of SEO. This one shouldn’t come as a surprise, it’s SEO’s entire purpose! The whole reason you want your website to rank higher for specific keywords is to receive more traffic. On average, the #1 position on Google has a click-through rate of 27.5%. You probably also have the question of why does SEO pull higher quality traffic? Simple. Because people on search engines are actively searching for the product that solves their problem. Instead of pushing your product towards your audience, SEO pulls the traffic of people who are already interested in what your business offers. While some marketing strategies can deliver vague and/or intangible results, SEO doesn’t. In fact, it can be measured through your organic website traffic and where your website comes up in the search. To figure out the first measure, meet your new (not to mention, free!) buddy: Google Analytics. By using Google Analytics, you can see traffic numbers and how that correlates with your organic search goals, where traffic is coming from, and more. The second measurement is pretty self-explanatory, just count how close (or far! Sad face) your website is to the first result on the first page. 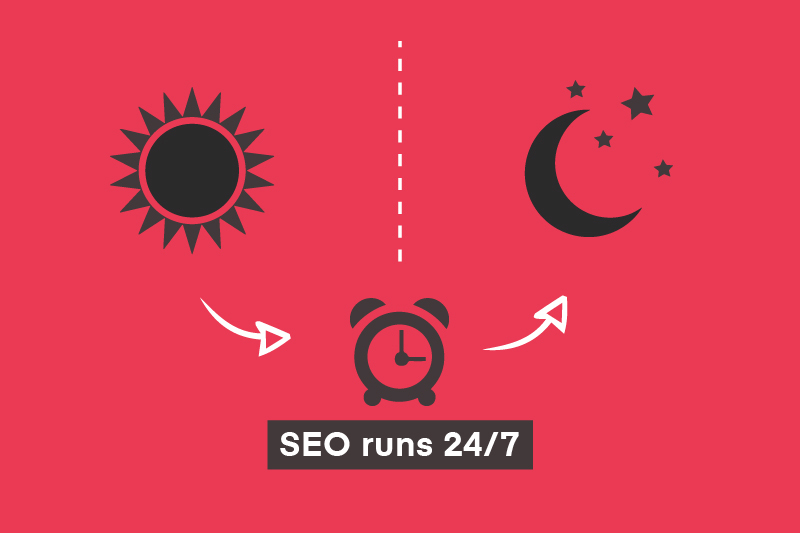 Unlike your salesmen, SEO works 24 hours, 7 days a week. While I’m sure your employees would love to work for you 7 days a week without any breaks at all (can you sense the sarcasm), SEO already fills that position for them. Even when you’re dozing off with your counting sheep at night, SEO does not sleep or take rest. Undoubtedly and logically, high SEO rankings will improve your website’s click-through rate. What’s a click-through rate you ask? It’s the number of people who have clicked on your website divided by the number of people you’ve reached. As your click-through rate increases, your website’s time-on-site will increase as well. From friend to friend (yes, we are friends! ), I’ve provided as much insight and information on why you should choose to do SEO to help your business thrive in today’s competitive industry (without trying to overwhelm you). Why Your Business Needs An App! In 2018, there were approximately 25.32 million smartphone users and counting in Canada alone. These 25.32 million users are bound to have at least a few apps on their phone – whether they’re social media, shopping, traveling, or other related apps. Less and less people are spending time on their desktop and laptop computers as mobile use now accounts for approximately 65% of total digital media consumption. With these numbers, it would seem like an advantageous idea for your business to invest in developing an app – and it is! Back in 2016, there were 90 billion app downloads, a significant increase from 2015’s 77 billion app downloads. Mobile apps are programs downloaded onto mobile devices – making it easily accessible. Apps can serve multiple purposes such as entertainment, shopping, or customer service functions for users. If you know that your business has a problem that needs to be solved or an optimization that needs to be made, you should consider developing an app. The most successful apps aren’t created because a channel needs to be filled, but because there is an opportunity to optimize a process. Apps don’t need to be able to do everything or have an eternal lifespan, instead, the best apps identify short- or long-term purposes and determine how that purpose can be conveyed in the app. More than ever before, individuals (and youth especially!) are glued to their phones and receive a rush of thrill when their phones light up with notifications from social media networks and their friends. 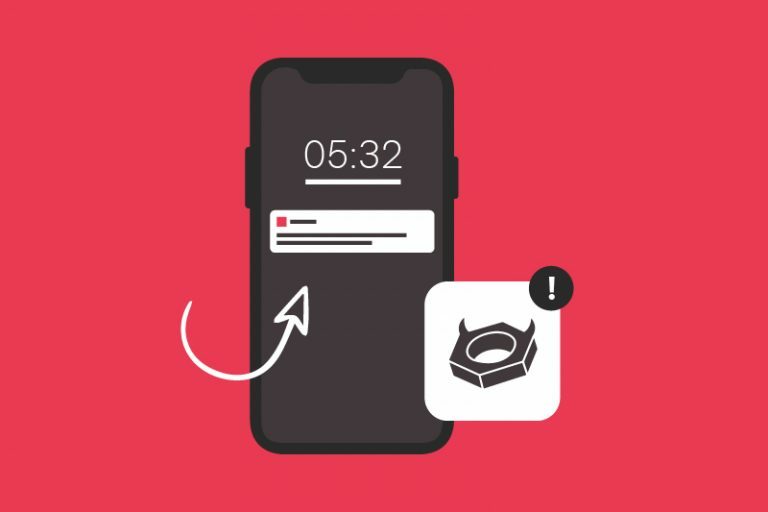 With an application, your business can submit these push notifications to your users as well. The ability to notify your users about important information on their mobile device becomes invaluable. These notifications can inform users of abandoned shopping carts, new products, special offers, and upcoming events. Your business and brand become easily available for your customers – making your content visible and relevant. With the amount of time that the average person spends on their mobile device, having an application can increase exposure among your customers. While only a handful of apps consume the majority of mobile consumption time, it doesn’t change the fact that users still need to unlock, scroll, and scan their device for the apps that they’re looking for. Because of the way our mind unconsciously records every image and/or text we come across (even if it’s unnoticed), being “in the way” can be advantageous for your business. Your app will and should be developed in a manner that allows users to engage with common, desired functions, without the messiness of a website. Apps will seamlessly guide them where to go and what to do in a personalized manner. With superior user experience, there will be more positive reviews, more followers on social media, more brand loyalists, and more repeat customers. Apps maximize customer engagement with your brand and business and allow users to easily connect with your company on social media. With easily shareable content, your customers will want to share – helping expand your social media reach and earning you new followers. Regardless of what type of product or service you provide, your customers need a way to quickly contact you. Having messaging features within your app can improve communication and engagement. 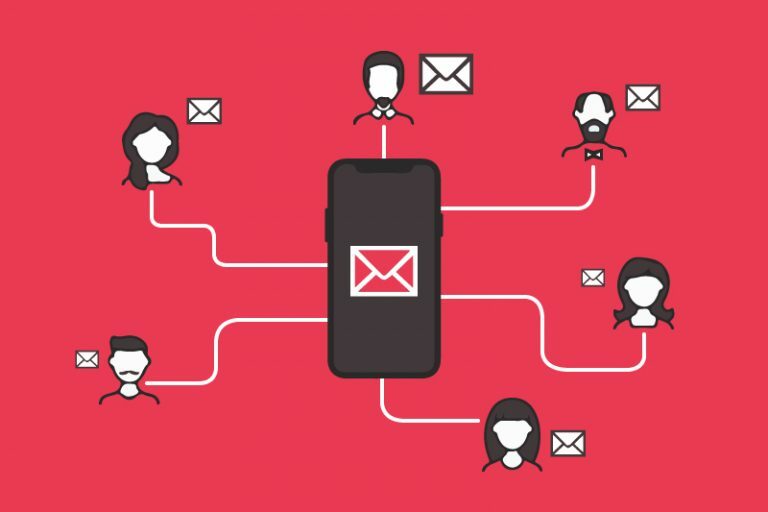 Providing the ease of being able to contact you directly without any tedious processes encourages your customers to be more inclined to connect with you. By having a mobile app for your business, you contribute to your brand awareness and recognition. By developing an app, you can showcase your brand in the palm of your customer’s hand. The way your app is designed and functions is up to you – so use that to your advantage to highlight and emphasize your brand! With a beautifully-designed functional app, your customers will more frequently visit your app. 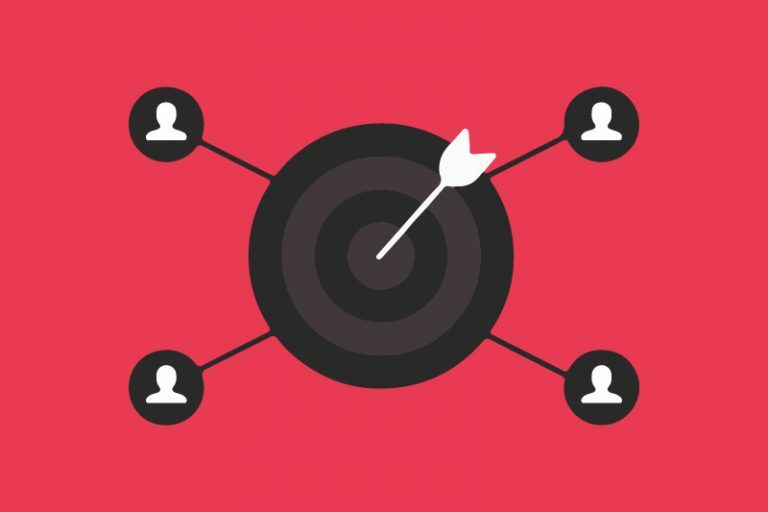 The more often your customer frequents your app, the sooner they will be inclined to buy your product and/or service – referred to as the “effective frequency.” The more often your visitors are exposed to your brand, products, and services, the more likely they will engage in an action or response. With the number of people globally who have and use smartphones, it’s a smart idea to invest in an app. 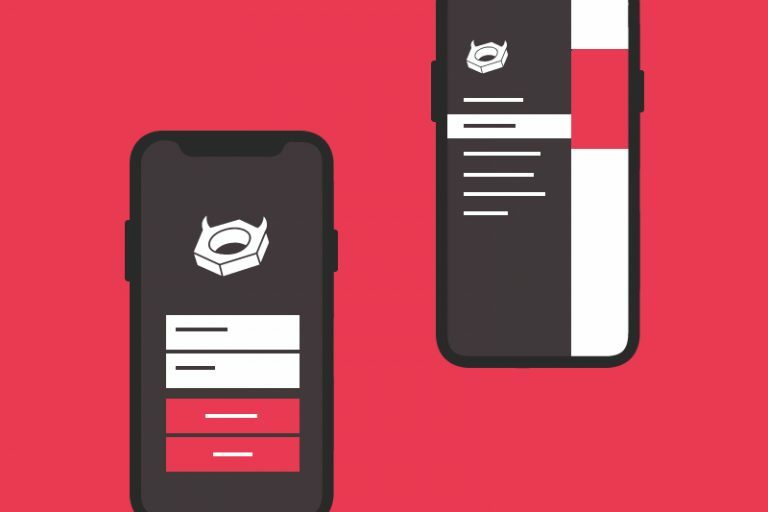 If you’re interested in building your own app for your business, contact Evilnut today! In the past, we’ve provided a brief of mobile apps 101. Today, we’ll discuss a different but similar topic – web apps. 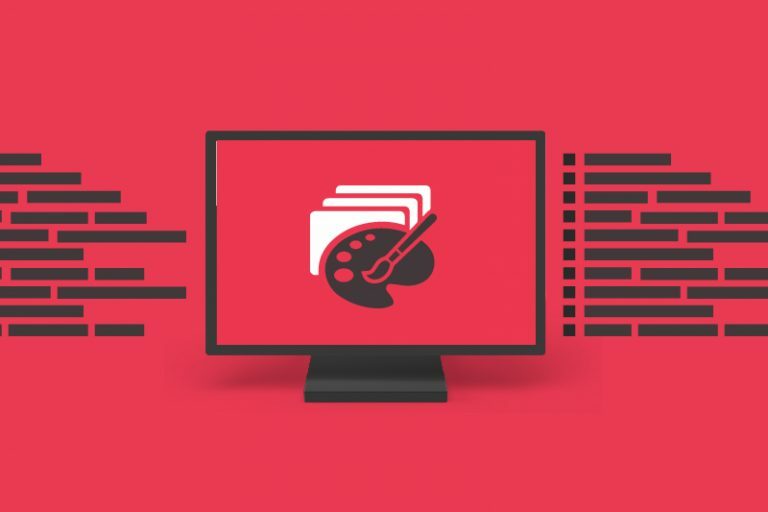 A web application, or web app, is any computer program that performs a specific function by using a web browser as its client. 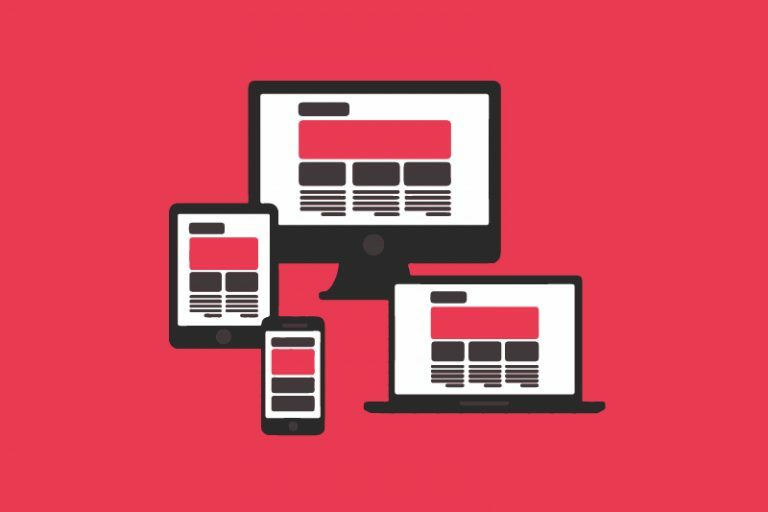 These web apps use websites as the interface or front-end, making apps easily accessible from any computer connected to the Internet using a standard browser. Web apps perform specific functions and can be as simple as a message board or contact form or as complex as a word processor or multi-player mobile gaming app. Web apps are also different from traditional desktop apps as these are installed on a local computer. Think of Google Drive as web apps and Microsoft Word as desktop apps. While web apps and desktop apps are different, almost any desktop software can be developed as a web app. Because web apps are programs on the Internet that can be accessed in web browsers, they provide almost any kind of functionality for businesses and organizations to run smoothly. Some examples of webs apps include product catalogs, search engines, project management tools, web mail, and more. Web apps are not only dynamic and ever-changing, they also allow users to automate day-to-day tasks and interact with the apps’ data to get the information they want. They can get users to interact with them either by contributing content (YouTube, Twitter, Facebook) or by gathering data from other sources and presenting it as such (Google Analytics, Klout), or even both! In the context of web apps, clients are applications that communicate with a web server, using the programming language of HTTP. In client-server environments, clients refer to the program the person uses to run the application. The “client” is the application used to enter the information and the “server” is the application used to store the information. 1. Who is it aimed at? You need to know who your app is aimed at and figure out who your potential users are. Are they business professionals? Females under 30? Dog owners? University students? Who your app is aimed at doesn’t matter as long as you know who. 2. Why will they use it? Now that you know who your app is aimed at, you need to know why they will use it. What need is your web app answering? Remember, there’s a difference between answering someone’s need and want. Is their desire for it enough for them to use it even though they don’t need it? To figure this out, you can ask people that you trust – what’s their first reaction? You can even interact with your potential customers to get them to tell you what they need. Regardless of whether your web app answers their needs and/or wants, make sure it’s practical. If it’s not, maybe the app isn’t worth the risk. Developing a web app provides many business advantages for your company. With web apps, because users can access the system through a uniform environment (a web browser), the app itself only needs to be developed for a single operating system. This saves the developer the time and effort of developing and testing it on all possible operating system versions and configurations. Web apps can be accessed anytime and anywhere through any PC with an Internet connection. Unlike traditional applications, users have control of where and when they access the application, allowing real-time collaborations to occur on platforms like Google Drive. Unlike traditional desktop applications, the user interface of web apps is easier to customize. With simple customization options, this makes it easier to update the look and feel of the app and/or customize the presentation of information to different user groups.